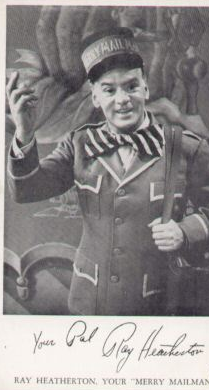 Kliph Nesteroff: Your father was also a performer. 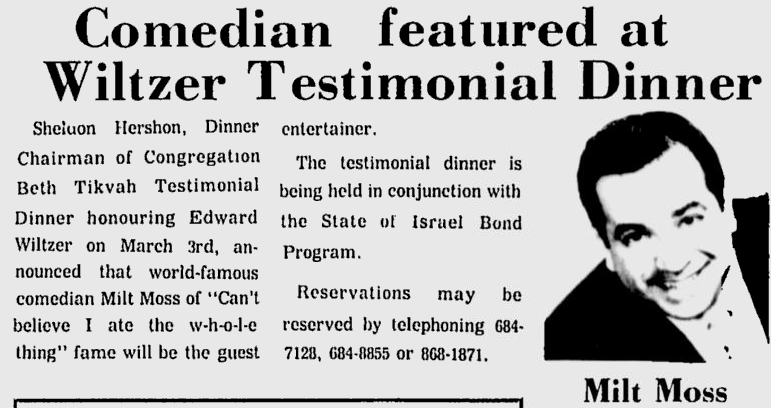 Milt Moss: My father was a great entertainer. 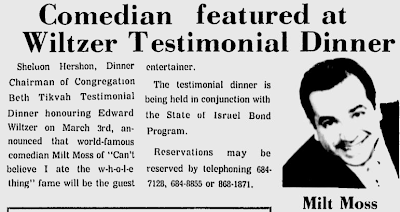 He was the king of what they called the "comedy waiters." 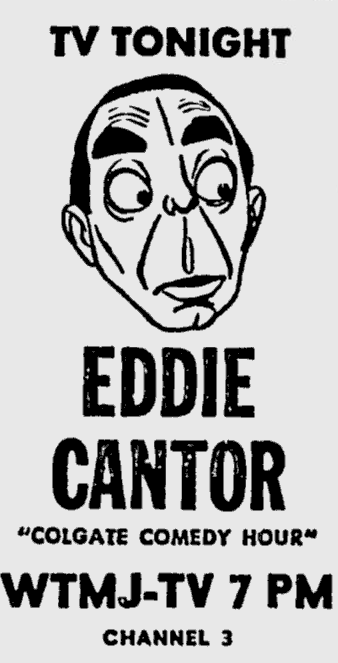 In 1956 they had a full page write-up about his career in the New York Times. He died in 1960. His name was Edward Clarke. He played basically one-nighters. 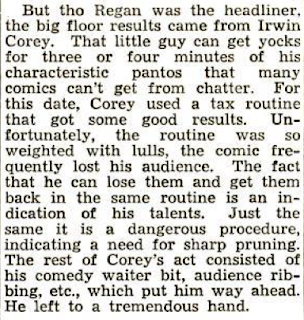 In the early days before he went into doing what they called the "comedy waiter" - he was a juggler. 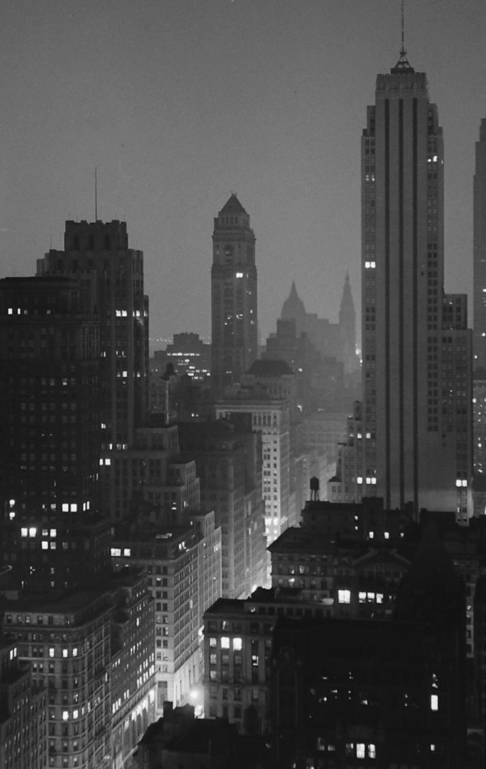 He worked little theaters in and around New York, Boston, Philadelphia and all of that. Later it evolved and he certainly got an idea about something - having a fight with another waiter and the "comedy waiter" came about. This is the thumbnail description. That's the way it started. He was doing that from, I would say, the late 1920s until he died. He was very, very well known at it. That's what he did. Mostly all club dates. When we say a club date, we mean a one-nighter. Milt Moss: An organization would send out a singer, a dancer, a comedian - it was very popular. Today that has faded out. But there used to be tremendous work between New York, Chicago, Boston, Philadelphia, Miami, Houston. Those were big one-nighters; what they called club dates. Kliph Nesteroff: Right. 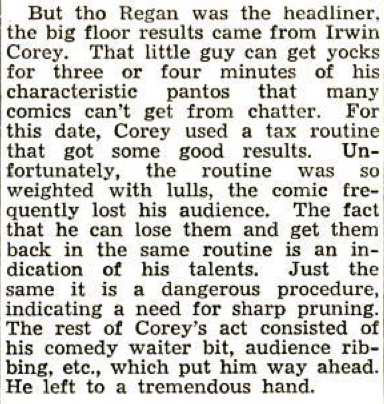 Now the idea of him doing a comedy waiter - this was a genre unto itself? 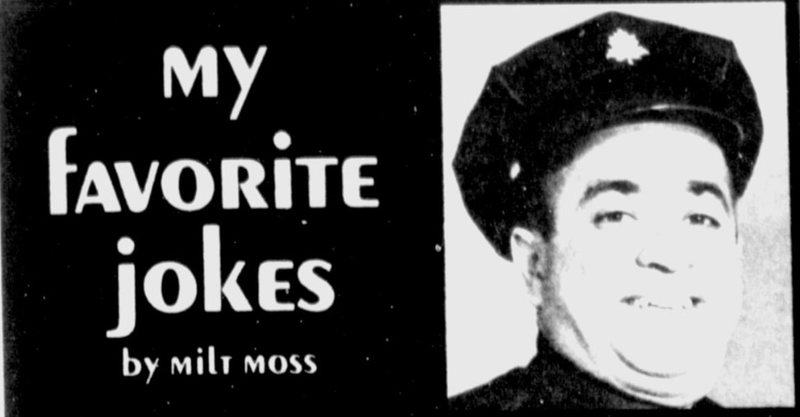 Milt Moss: Well, there would be very funny things. A man would say, "Waiter bring me a dinner roll." He'd put ten rolls on the table. "Waiter, which way to the men's room?" He'd say, "Come with me," and lead him outside and leave him on the street. He would stand in the middle of the room, let's say it was an affair of five hundred people. In the balcony there would always be a man with a big camera, you know, "Okay, hold it folks. Hold it, hold it, hold it folks!" He'd take a picture. What he'd have in his coat, his comedy coat, was a picture of a previous affair. When they finally did the, "Oh, folks, you've gotta see this!" My father would pull out the old thing and [charge everyone], "Okay, buck n' a quarter a copy! Buck n' a quarter a copy!" It'd be a big scream. Milt Moss: It was just natural. I had a brother and a sister who all had great careers. I was the youngest one. Since public school, high school, college I was in all the shows. My closest friend of seventy-five years just died, a well-known writer, Leonard Stern. I just spoke to him two days before he died. That was my buddy for seventy-five years. All the shows in high school he wrote. We went to NYU together. He wrote a show about how everyone was going into the army at the time. It was called Pardon My BS. Very funny. We were very, very close - even when he moved to Los Angeles. He used to be in New York and it's a shame. As life goes on the saddest thing is that you lose most of your close friends. I'm up in age and most of mine are gone. When I did one-nighters, the thing that I did after playing all of these nightclubs with Robert Goulet and The McGuire Sisters and The Mills Brothers - doing great - I did what they call the put-on. I'd go to an affair as a character. I'd be the head of the Bank of Paris. It'd be realistic. It's gotta be a serious title. "Here's our guest speaker tonight." I would get up and start talking straight facts and then after about five minutes I broke it. 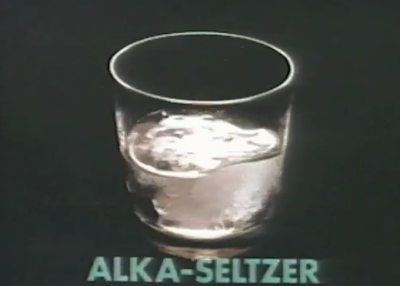 I did over 1600 of these things over thirty years. 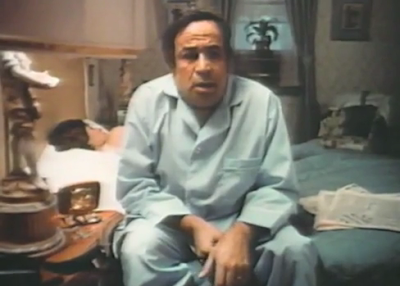 Kliph Nesteroff: You were known as "The Prince of the Put-on." Milt Moss: Yes, it was written up all over. I had many write ups in Parade Magazine. 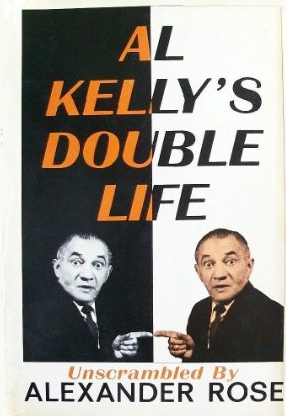 Kliph Nesteroff: Al Kelly was also a master of the put-on. Milt Moss: No! Al Kelly was not a put-on. Al Kelly was a comedian and they'd say, "Here he is - a professor." Right away he walked on and with the double talk. They knew he was a funny man. It wasn't a put-on. It wasn't realistic. The minute he started talking they would know who he was. Very, very funny man. Very close to my father, incidentally. 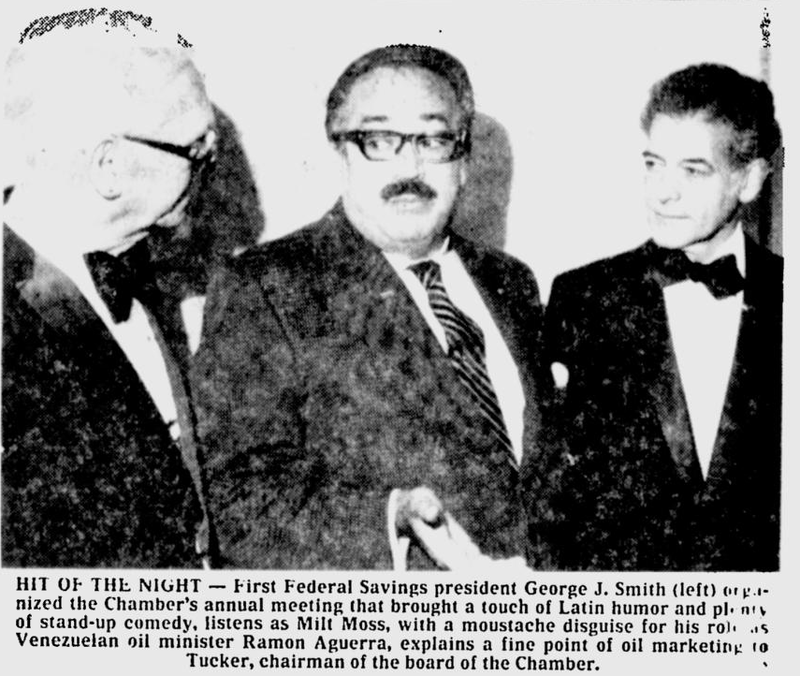 His real name was Al Kalish. There were about four or five other guys doing it, but my primary business was through Chicago and the National Speakers Bureau and a gentleman named John Palmer. A couple other guys could do it, but I could speak several languages and no one else could do that. I am a master dialectician. Whatever I did was completely believable. In my brochure it said, "When you believe it - you'll see it." I did a thing for the big banks and I was from Australia. Introduced as, whatever, their head of commerce. They came to greet me at the plane! I was all in character with moustache and glasses. I went to the affair and the press was there and they asked me all kinds of questions about the agriculture there, the climate, how we get the water from here to there - for an hour and a half! They thanked me very much and they left. They never stayed to see the dinner! It was the most unusual put-on I had ever done in my life. Usually I just did the put-on, it'd kill and it'd be great. The next day I was in Houston and the president of the bank [that had hired me] called me up and said, "You wouldn't believe this! There's a whole article in the paper mentioning the speech you gave, but never mentioning the put-on!" He called up the paper and told them and they said. "Uh huh. You can't [fool] us. We were there. We asked him the questions." They never retracted the story! I have the newspaper article in front of me. They never stayed to see. Milt Moss: After nightclubs and everything, after I got out of the army and one of the first things I did was a television show in New York called The Merry Mailman. Had you ever heard of that? Kliph Nesteroff: I have it written down. 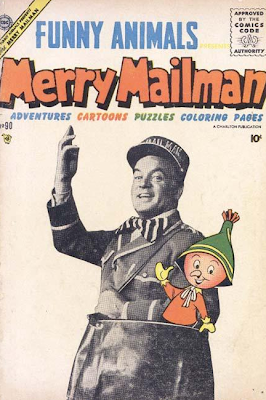 The Merry Mailman and Zookeeper Milt. Milt Moss: It was one of my dearest friends in life, God rest his soul. His name was Ray Heatherton. A beautiful man, a beautiful man. We did that for seven or eight years. 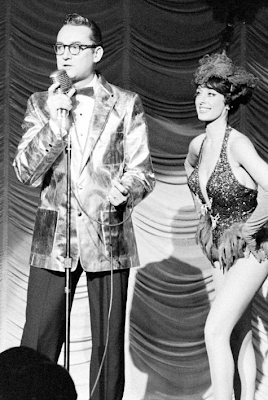 Then I did a lot of other shows later on in the sixties. I emceed my own show. Remember Hanna-Barbera? 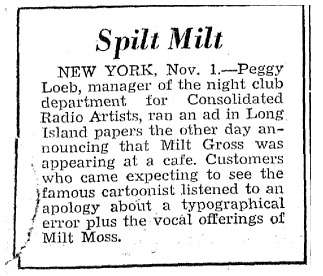 Milt Moss: Well, I was on a show that had new cartoons. Wally Gator, Touche Turtle and Lippy the Lion. I was on a set as a zookeeper with the cages behind me and I would introduce some cartoons and do voices and everything. It was called Cartoon Zoo on WPIX Channel 11 in New York. That was one of the other things I did. Incidentally, Ray Heatherton, later on in life in the nineteen eighties he did a show on cable in which I was his number one man. It was called A New Day is Dawning. It was aimed at people over fifty-five. They did it out in Scranton skirting the unions rather than doing it in New York. It lasted about a year or so. 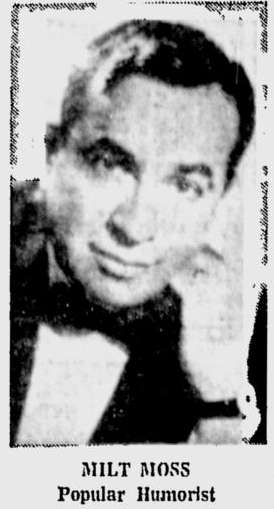 Kliph Nesteroff: I had heard that Ray Heatherton had become a victim of the McCarthy era blacklist. Milt Moss: That's baloney! He was the greatest American! He was a lieutenant! I don't know where that came from! That is absolutely not true! Even with myself in the computer they've got this. 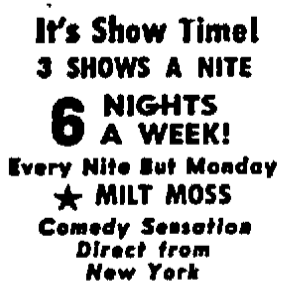 They say, "Milt Moss was a burlesque comic." I was never a burlesque comic. Never! Absolutely not! I knew Ray Heatherton til the day he died. God. 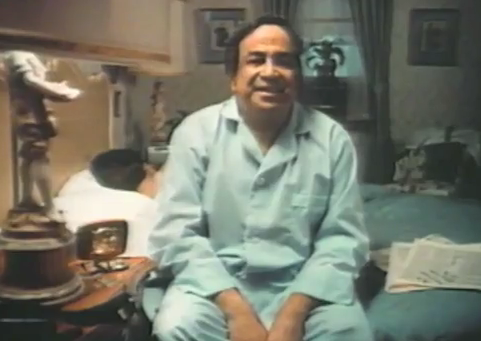 He was at a home in New Jersey when he died in 1997. He was 88 years old. His son is still around and works as a disc jockey and his daughter was very famous. You remember Joey Heatherton? Milt Moss: Well, that's another story. Anyway, that's not true. This one fella was writing a book about children's shows and he got a lot of information, he put it on the computer, and a lot of it was just not true. When they don't know something they just create a story which is wrong. One of the things was that on the television show we did this thing called, "Ahh! Ahh! Kloopie Bird!" Whoever won this contest would get a free trip around New York to all the zoos and everything else. The mail was piling up. It came in sack after sack. This guy wrote in his book "The owners said that Milt Moss was getting too much mail and he was asked to stop the contest. He wouldn't stop the contest. Milt had to pay it out of his own pocket." That never happened! It was another thing just to show you how misinformation gets spread sometimes. A newspaper goes to print - they can't put out a blank page - they create something. Anyway, what else would you like to know? Milt Moss: Oh God, that was 1948. I have recordings of that. I did little character parts. Where I [told a story]. "He was driving along in a car [guttural car sound]. Then a cop car came [makes siren sound]. Gotta pull over. Police." [In New York accent] "Hey you! Wherya goin' to? Fiyah?" 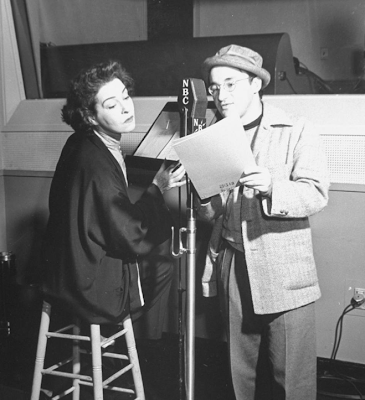 Kliph Nesteroff: How did you get that gig? 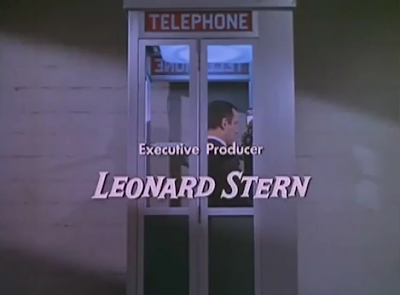 Milt Moss: Leonard Stern. He was a big writer on Eddie Cantor at the time. He introduced me to some of these people, for instance Steve Allen. Very few people know this. Did you know Steve Allen was a big disc jockey in California? Milt Moss: Alright, but did you know he had a radio comedy show called It's a Great Life? Very few people know this. I have recordings of this! I was on it. He came to New York. Broadway Open House preceded him. Of course, after him was Jack Paar and then Johnny Carson, which incidentally I was on five times. I wish I could show you a tape of me on Carson. I posed as Howard Hughes' right hand man. I worked with a lot of big stars doing my stand-up in nightclubs. I was doing very well and my money was very good, but what I was making in one week with the put-on for these companies - I made more. So, I said, "To hell with the prestige. I'm going to go where I can make the most money." So, that's what I did. Everyday of my life I did shows and I was always busy. 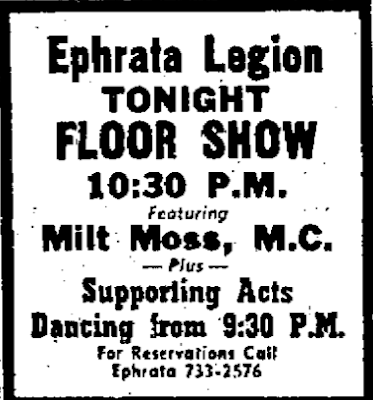 Kliph Nesteroff: I have a listing for a gig you did in 1948. Abe Goldstein's Iceland Restaurant. Milt Moss: Oh, God. Oh, God, yeah. That was Gamsen, the agent, booked that. It's gone. 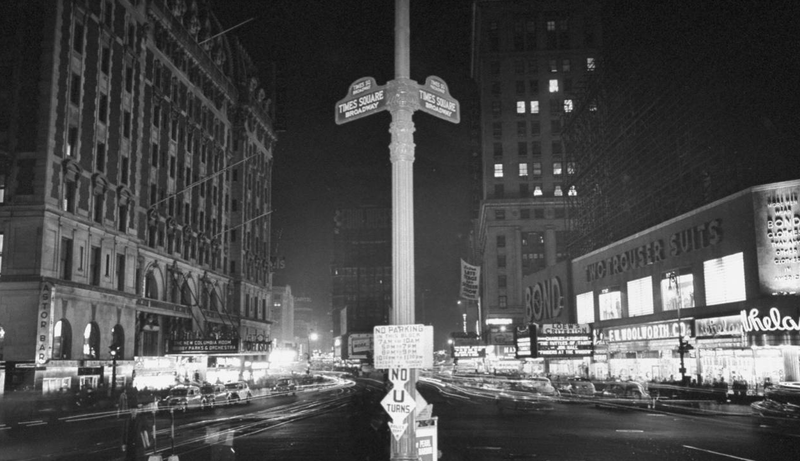 It eventually became Sammy's... it was on 53rd and Broadway. I forget what did they call... Old Romania! It was a big restaurant downtown. Yeah, that was way back then. That was the very start of my career. One of the first jobs I ever did! I did one in Brooklyn at a place called the Club Jinx when I got out of the army. I got forty-five dollars for three days (laughs). I'll never forget that. Just breaking in and doing jokes and all of that as a comedian. Incidentally, Leonard Stern wrote some very great routines for me before he went out to California. He wrote a very funny routine: BNT, IND and IRT. 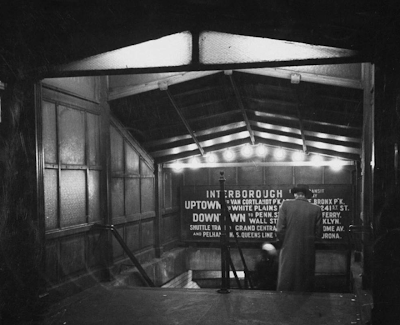 These are the subways in New York. 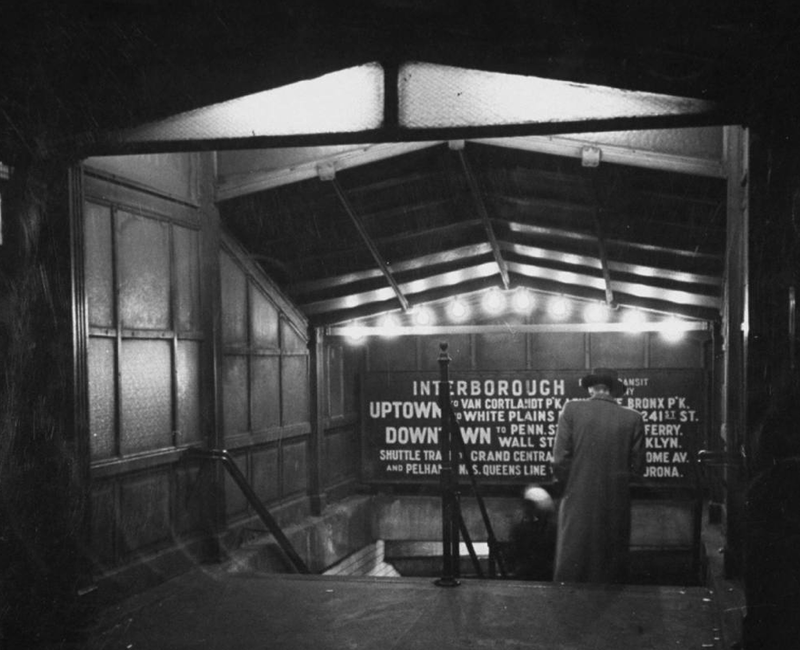 The Brooklyn Manhattan Transit, the Interborough Rapid Transit and the Independent Subway of New York City. He wrote me a whole routine about that and it was very, very funny. I was so sorry to see him go. The New York Times obituary on Leonard was not good. The one in the Los Angeles Times was much better. 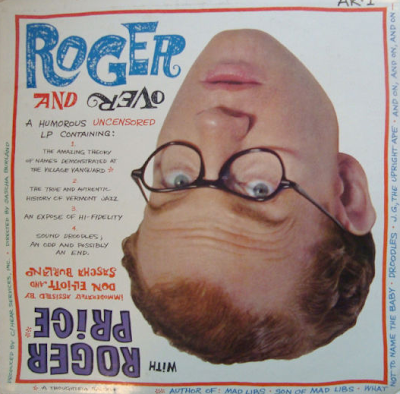 In New York they stressed in the obituary that he did Mad Libs with his friend Roger Price. 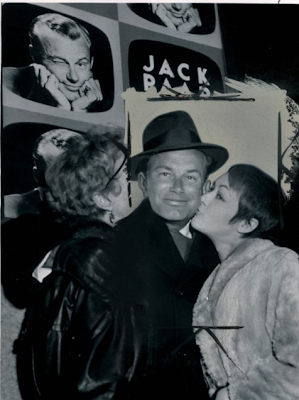 The one in California, he was a two-time Emmy winner and they talked about the shows that he did - McMillan and Wife, which I did several times. I did a show that nobody remembers in the seventies with one of the great Broadway stars in history - Helen Hayes. She was great. She did a show called Snoop Sisters, about two female detectives. The other was Mildred Natwick. That's another thing - one of the obits has it, the other doesn't have it. They left out one of his divorces. They put in two marriages, but they left the third one out. That's another story. They mentioned Roger Price, but there was another partner that he had who was very funny. He was a terrific writer named Marty Ragaway. What else would you like to know? 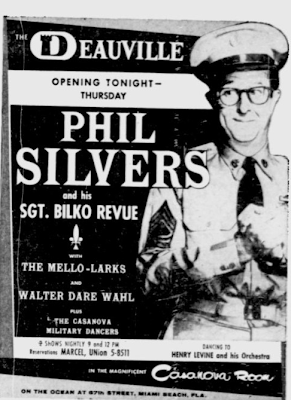 I worked on a radio show with Phil Silvers and he was a pleasure. I did Merv Griffin thirty-five times doing different characters and I did a lot of Mike Douglas. My two closest friends were big comedians. Milton Berle, who was a dear friend of mine and Henny Youngman, the king of the one-liners. Remember him? Milt Moss: Where I live in this apartment house, he lived two blocks down on 55th street. He died in 1998. He was ninety-two years old. Terrific, terrific comedian. Terrific. Milton Berle was great. Just great. One of the most philanthropic men. He gave money out and I could tell you a lot of stories about him. He was a terrific guy and just a great, great comedian. Absolutely great. I worked with a lot of people. 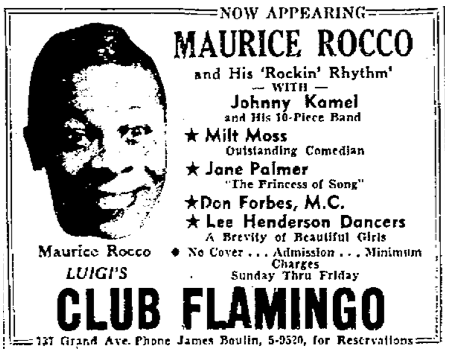 Milt Moss: Yeahhh... Maurice Rocco was a colored performer. He stood and played the piano. He never sat down. God, I remember... people don't remember him. Maurice Rocco. Terrific performer, never sat down, stood and played the piano at the same time. 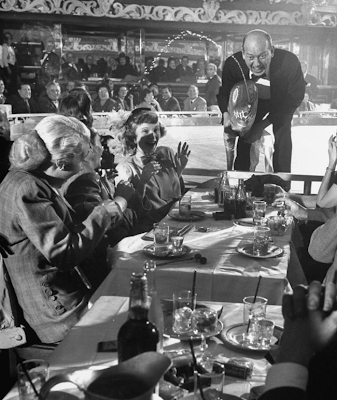 Kliph Nesteroff: Another Syracuse club... The Tick Tock Club. Milt Moss: The Tick Tock Club? Boy, I barely remember that. Boy, you're bringing back memories of things I don't remember myself. Milt Moss: Yes, the radio show was 1949. My friend Leonard Stern was the writer so that's how I got that. Forget that I had the talent to get through the front door. I have recordings of that. Every week I did a different character. A dog. "Bark! Bark!" "What was that?" [In Brooklyn voice] "I'm a dog. Don't believe me? Feel my tail." Milt Moss: Phil was a great, great performer. I loved working with him, just a simple delight. 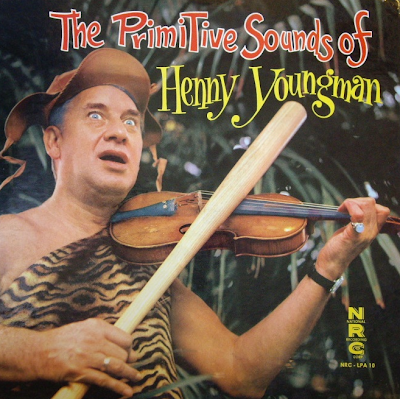 He was a former burlesque comedian, incidentally. 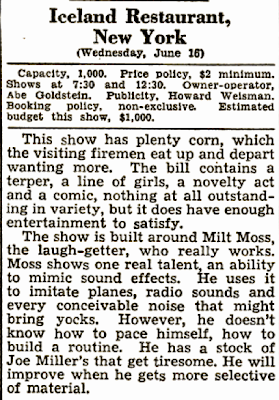 Milt Moss: He was making about $375 a week, but he didn't like burlesque. He did a lot of good Broadway shows and he did the big thing - Bilko. He called me. 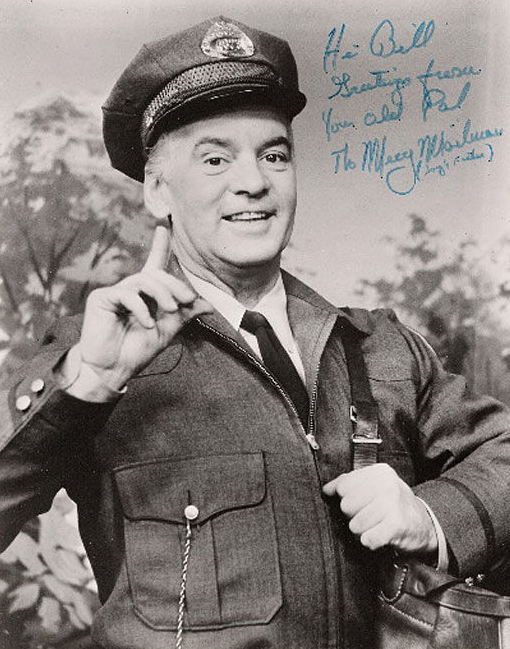 He wanted me to be one of the guys on Bilko! It was a big hit, but at the time I was under contract to Ray Heatherton doing The Merry Mailman. 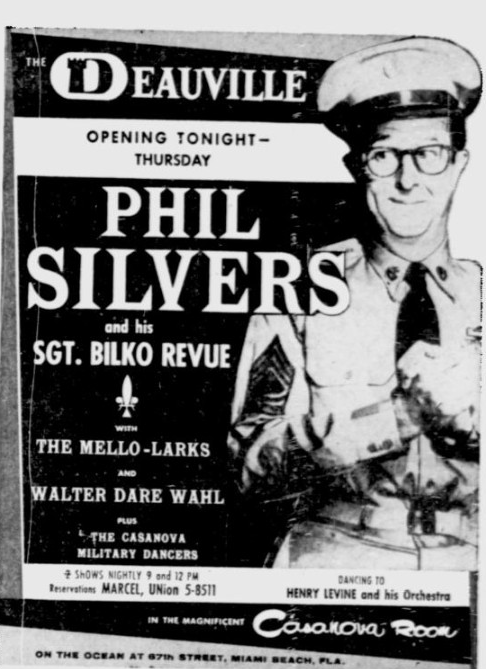 He did [The Phil Silvers Show] way up in the Bronx. Nat Hiken was the writer - producer of the show. I said, "Phil, I have rehearsal at two and then we go on the air at five for one hour." I turned down Bilko. 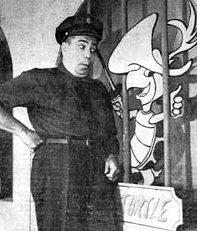 Kliph Nesteroff: Did you do another Phil Silvers program - an early TV show of his called The Arrow Show? Milt Moss: No. No, that I did not do. Of all the things that I am most famous for is one of the greatest TV commercials of all time. You know what it was? 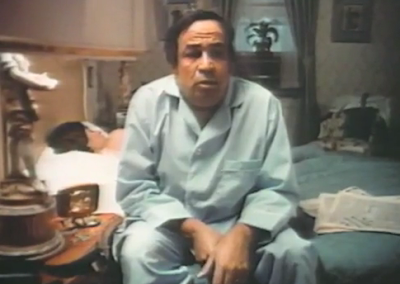 Kliph Nesteroff: "I can't believe I ate the whole thing." Milt Moss: That's it. I won the award, everything, for that. That changed my whole life. That's when I went on tour with that Neil Simon show The Last of the Red Hot Lovers. They came to New York and they wanted someone who was very popular at the time. They didn't care if I could act or not. I said I could. They came and booked me and it was for big money and everything. The news came out and all the papers, "This man was sensational!" I was in a state of shock. It was a great, great part of my life. I loved doing that. Afterward, I did not do many Broadway shows. The put-ons were so big in my life. So many dates were coming in, so that's what I did. But that commercial changed my whole life. When I tried out for it - about seventy people tried out for it. Making faces, doing different sounds. Finally they picked me and they said they were doing it on such and such a date. I looked in my book and I had started to do these corporate things and I said, "I can't make it." They said, "Whaddya mean you're booked?" I said, "I'm sorry." They said, "Okay, thank you very much," and hung up the phone. Two days later they called me back. They said, "We want to use you. Can you do this other date?" I said, "Yes." I almost blew the whole commercial! Would you believe that? What else would you like to know, Kliph? Milt Moss: Oh, that was way back with Dagmar. 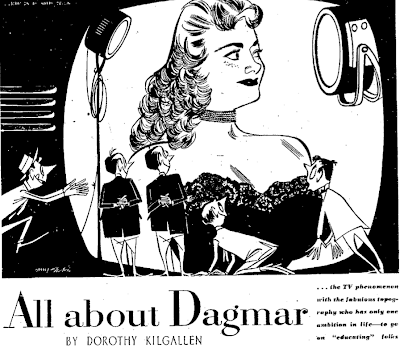 My dear friend who died in the late nineties [was Dagmar's husband]. His name was Danny Dayton. He was also a college mate of mine. 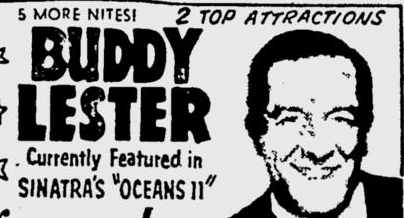 There was a very funny comedian at the time named Jerry Lester and he had a brother named Buddy Lester. Kliph Nesteroff: Do you remember who the host was on the episode you appeared on? Milt Moss: I don't remember. 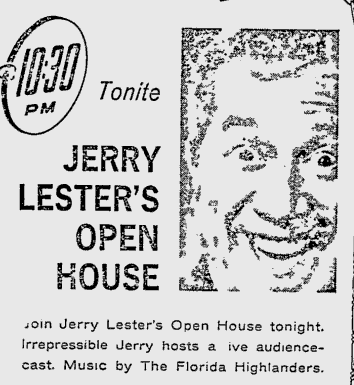 I think it was Jerry Lester. He did a funny thing. 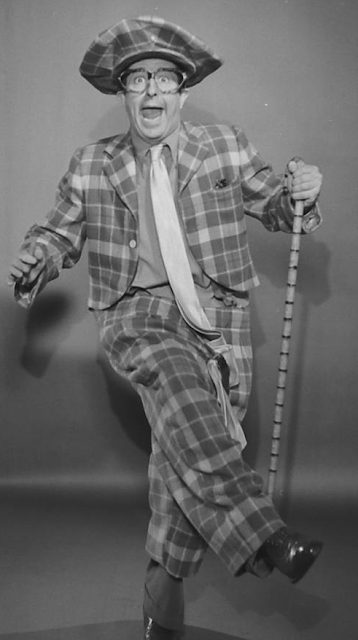 During the warm-up for the audience he'd say, "I would like to show you an imitation of a one-legged golfer." He'd swing and he'd fall down on the floor. That was one of his favorite bits. On the Carson show I did the put-on. I wish I could show you. If you were here in my apartment right now I would play you the tape. The person who handled me throughout the years was a comedian who became an agent. His name was Stan Irwin. We both drove to California in 1947-48 together. He left and he went to Las Vegas. He played a place called the Club Bingo, which was at the head of The Strip. They liked him so much they said, "Stay on and be the host. Be the greeter. Do your act." He did and eventually they tore down the Club Bingo and you know what they put up? 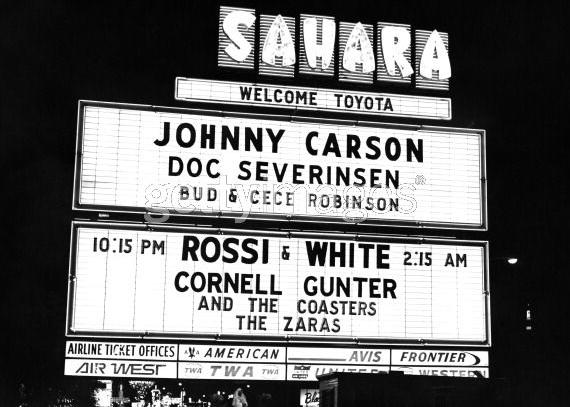 The Sahara Hotel. Incidentally, I used to play there a lot. 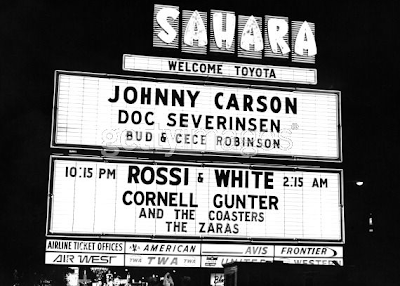 So, my friend Stan Irwin handled Johnny Carson for a while, he handled Pearl Bailey, he handled Vaughn Meader. He's retired now and he lives out in Los Angeles. One of my few friends still alive and he sounds great. He's ninety-one and he looks and sounds as fresh as ever. He has great stories! You want his number?